Celebrating another Wednesday, knitting with my sister. 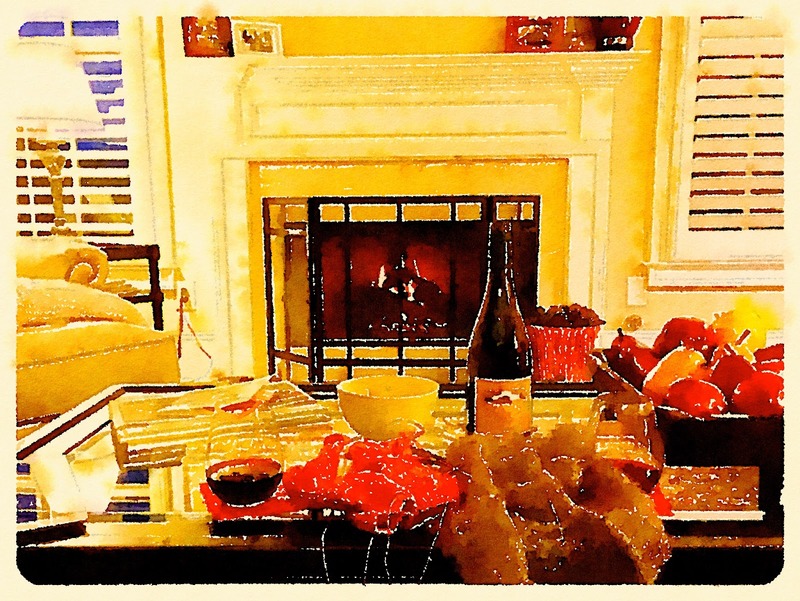 When it’s chilly outside, nothing beats a fire, a bottle of red wine, knitting…and sharing the sofa. That looks SO cozy and comfortable. Love the warm colors. I love how your photo portrays wonderful warmth in so many ways! Oh yes! Having a fireplace is on of the "must haves" for our next place. What a wonderful place to spend a cold january day – fill of light and colour and – I suspect – laughter too :). Oh, very cozy and pretty! Happy New Year! Beautiful, and it does look cozy! Room for one/several more? Looks like just.the.place.to.be…especially on a frigid evening.